Here is a follow up photo of my lovely client Carol. 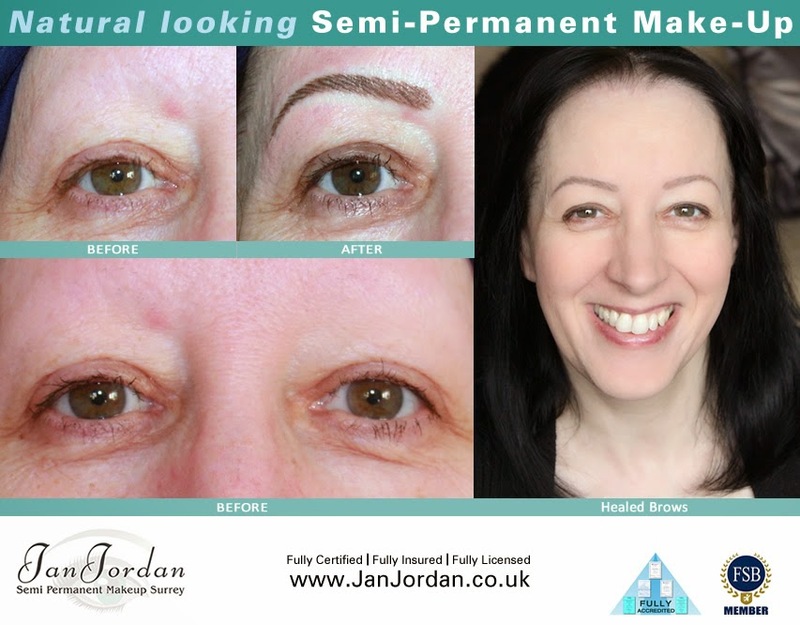 Carol is the lady featured in the “Eyebrow Tattooing Surrey” video. The video is here on my website or can be viewed on YouTube. As you can see, Carol’s brows are completely healed and have a soft natural look to them now. "I was very apprehensive before getting this done. I was very shy, having no hair on my eyebrows and scared about whether it would hurt and if it would look nice, but when I went for the consultation with Jan, I realised I couldn’t have found a better person for the job. She was friendly, kind. On the day of my treatment Jan explained everything as she went, making sure I was happy at every stage right until the end. After having it done my eyebrows look fantastic, but that doesn’t compare to how much I’m smiling now. 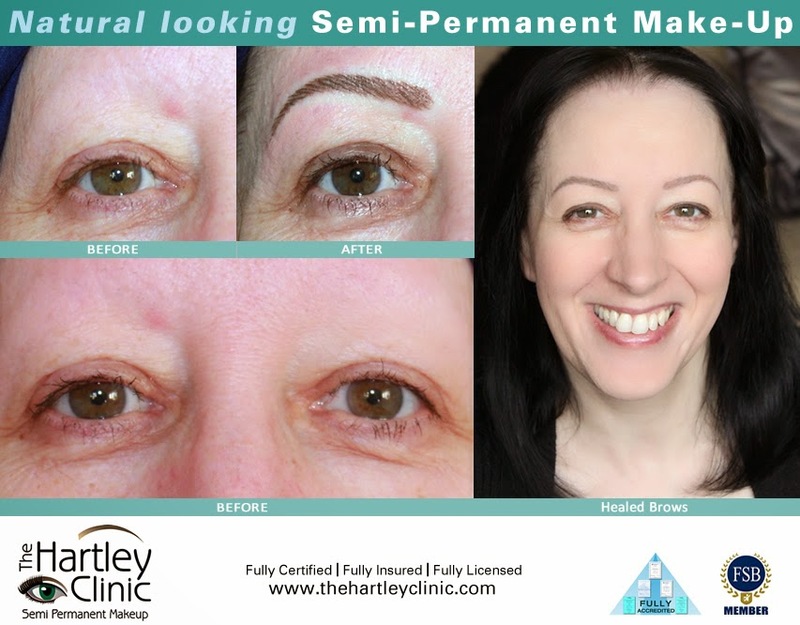 I’m so much happier and anyone thinking of having this done, needs to have a consultation with Jan and they won’t look back."